This Rolex, reference 6263 Daytona is known as the 'Big Red' due to the large printing of the word Daytona above the 6 o'clock sub dial. This particular watch circa 1981 is in 'survivor condition' with the original dial and bezel, and has not been refinished. The reference 6263 is the last Daytona made with the Valjoux manual wind movements, and is one of the most desirable versions featuring screw down crown and pushers for more water resistance. The word “Oyster” clearly printed on the dial announcing the enhanced water resistance. 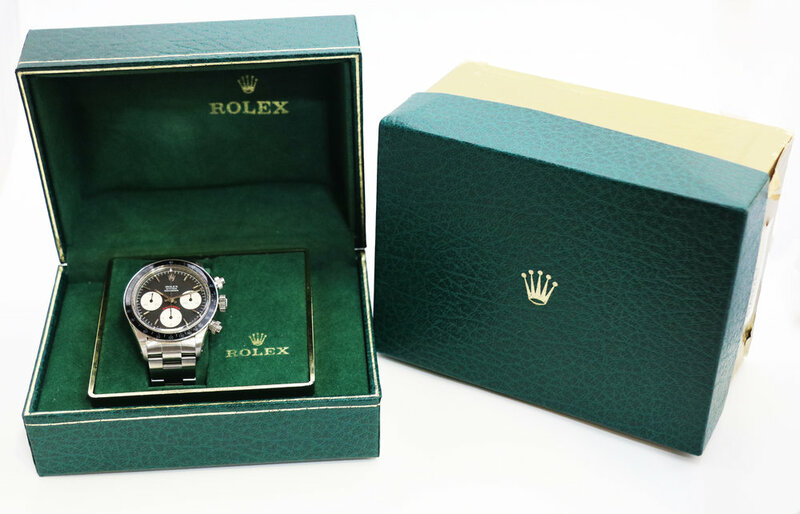 This watch comes with the original box, papers and instruction manual from the original purchase in 1981.